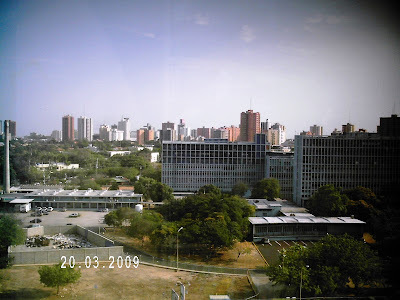 IMG_01: "Hospital Universitario de Maracaibo seen from the seventh floor of the Universidad del Zulia's Rectory." 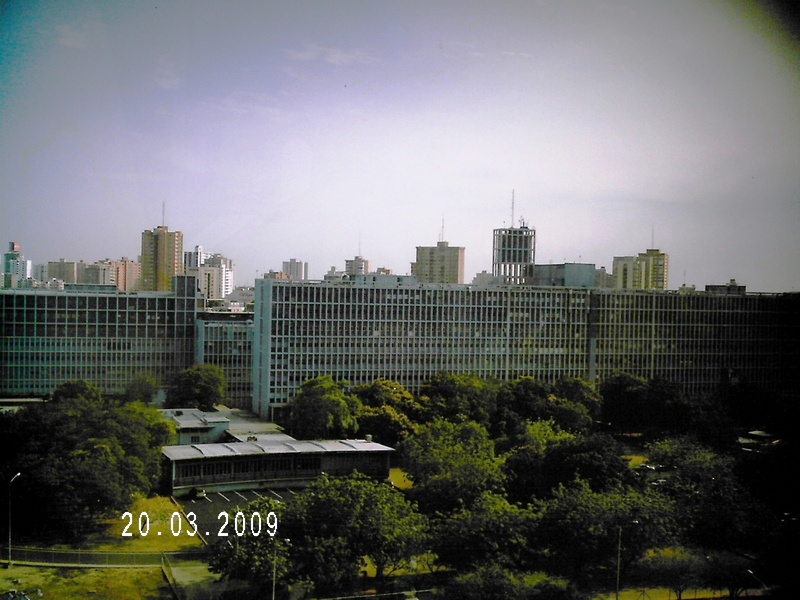 depicted item: IMG_01: "Hospital Universitario de Maracaibo seen from the seventh floor of the Universidad del Zulia's Rectory." 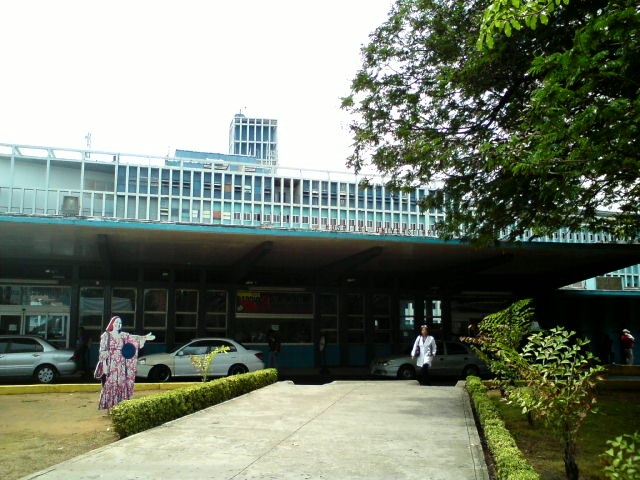 current name: Hospital Universitario de Maracaibo (HUM). 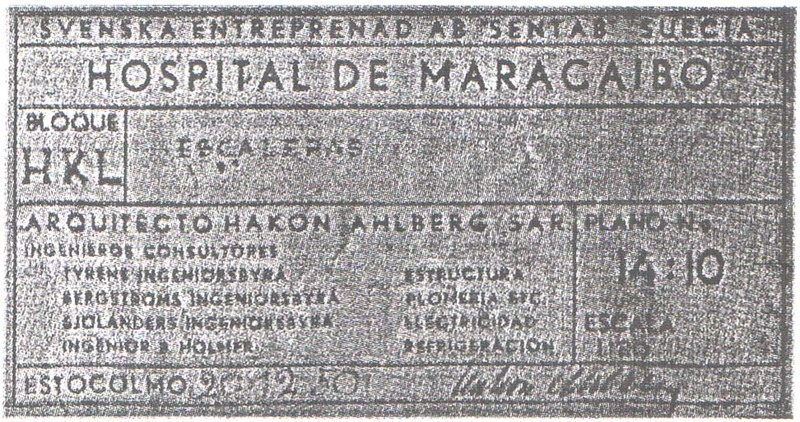 original name: Hospital General de Maracaibo. 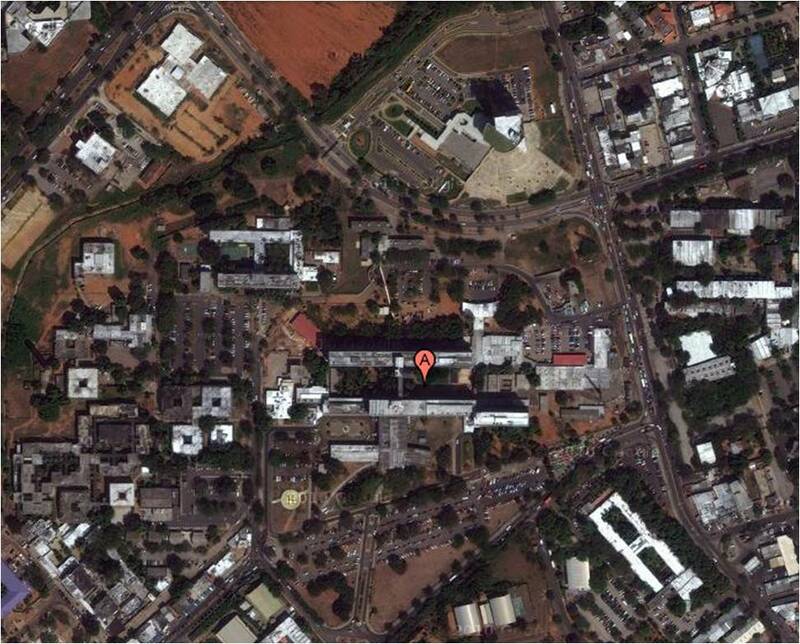 number and name of street: Calle 66 with Avenida 16, Ciudad Universitaria (LUZ). 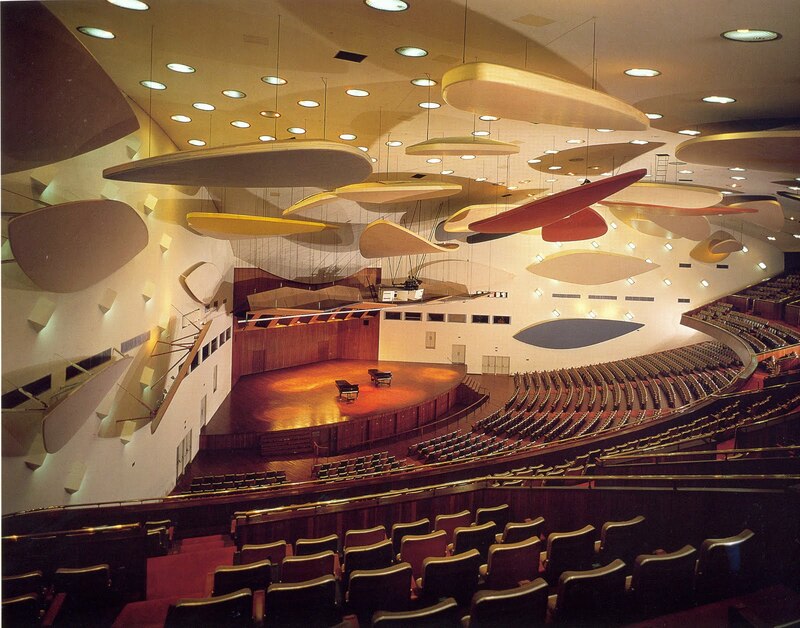 grade: National Good of Cultural Interest (B.I. 069.004), Maracaibo Borough, Zulia State. 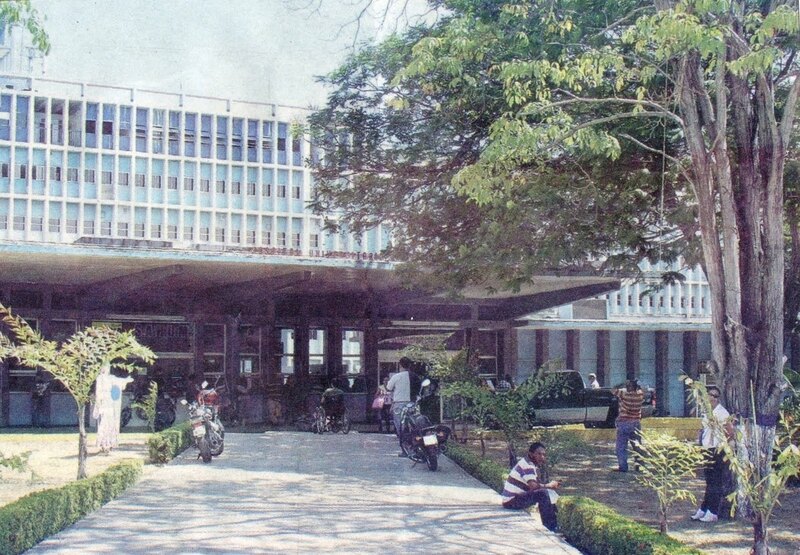 valid for parts of area: three slabs, a nine-story central building and two bodies of nine and eight stories high respectively, interrelated with green spaces. 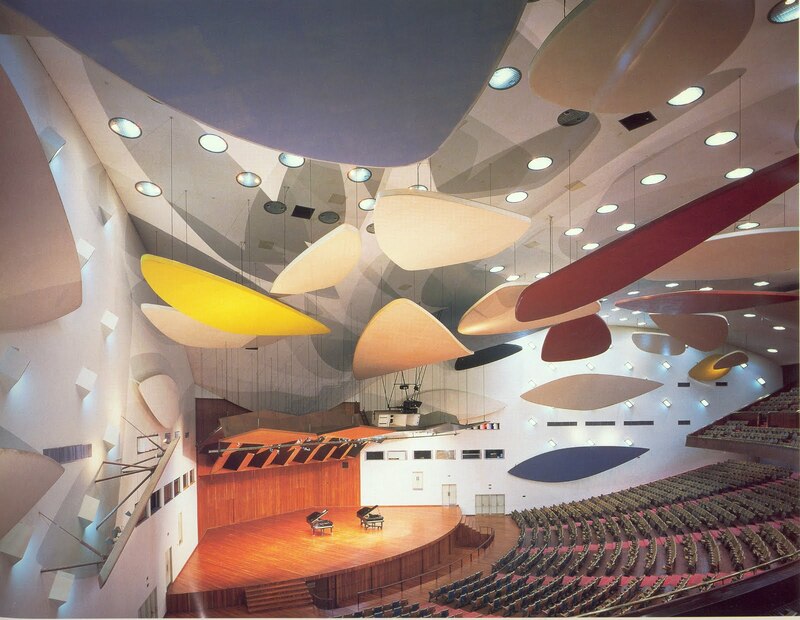 the HUM is placed among the campus of the Ciudad Universitaria (Universidad del Zulia). It covers 70% of an irregular block between the Calle 66 and Avenue 16 in an educational sector, called sector Paraíso. 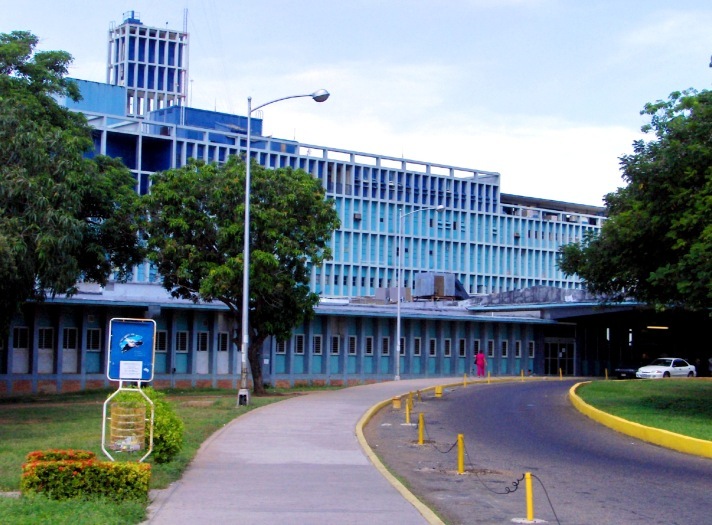 Highlights of the surrounding area include the Fire Department Building and the Technical Nucleus of the Universidad del Zulia, both located to the east of the hospital, the Facultad de Odontología y Medicina building to the west, the Colegio de la Presentación building to the southwest and the new headquarters of the Rectory of the Universidad del Zulia to the north. 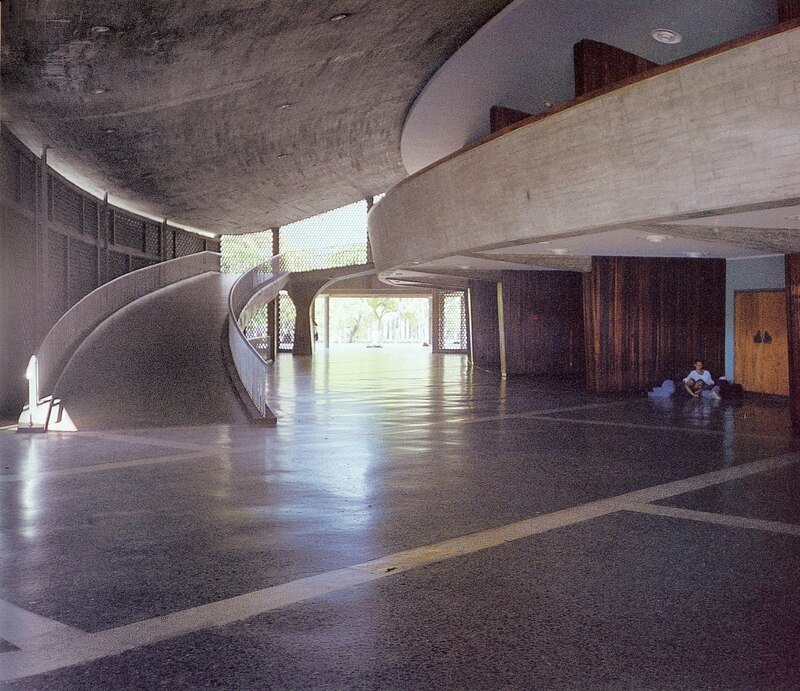 the monumental group of concrete buildings with its gigantic volume and its powerful foreign architectural style bursts into the lower site to become its dominant icon. this building is the result of a time when Maracaibo was developing rapidly. A new architectural model was needed to meet the new urban conditions. In the beginning, it was planned as a "general hospital" to provide health care to the population of the north of the city, who lacked a general facility covering the four basic services: Medicine, Surgery, Gynecology and Pediatrics. The Hospital Universitario de Maracaibo, along with the other nearby buildings -the School of Nursing, the Surgical Hospital and the Medical School-, now constitutes the health core of Maracaibo, and became in itself like a health district, a zoning derived from the modern vision of concentrating compatible city functions in the same area. 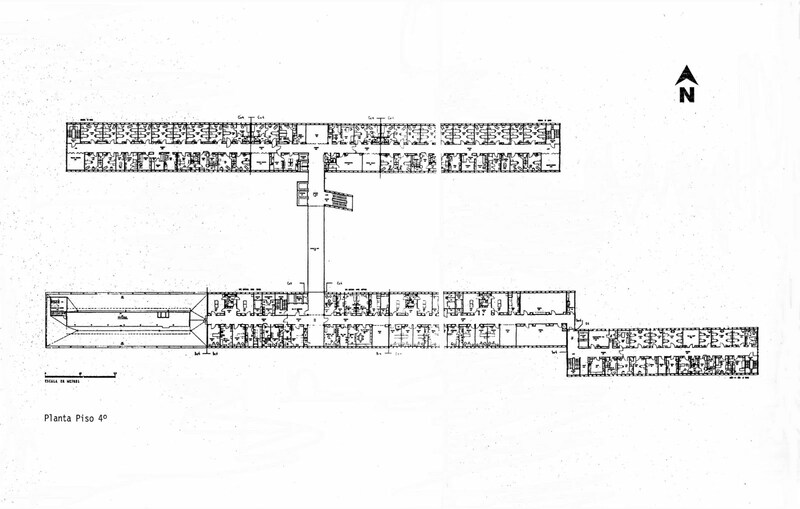 the sector's scale was not beyond three or four floors at the time of the hospital's construction, having remained fairly homogeneous. The arrival of the HUM produced an strong impact, changing from then on the townscape's profile. 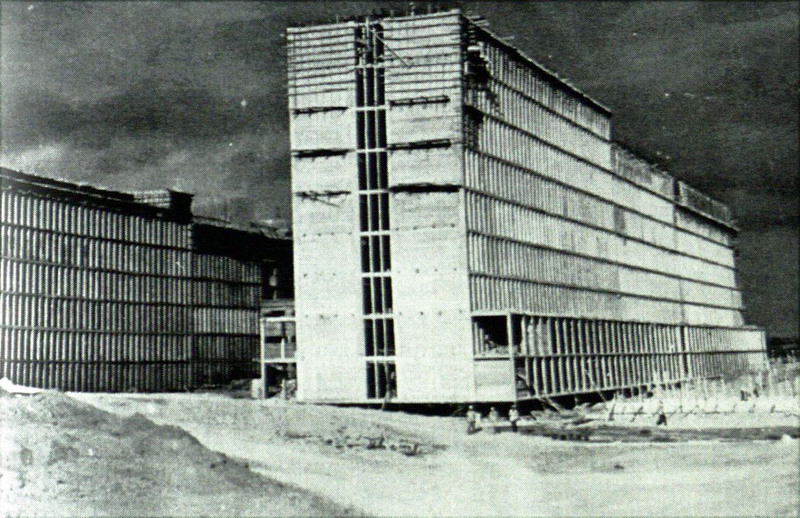 the structure was designed in reinforced concrete as a self-bearing structural system, like a resistant facade. 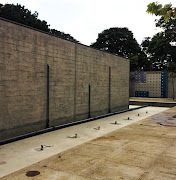 It consists of a set of columns placed very close to each other -1,20 meters-, fulfilling the function of supporting and distributing the building loads. 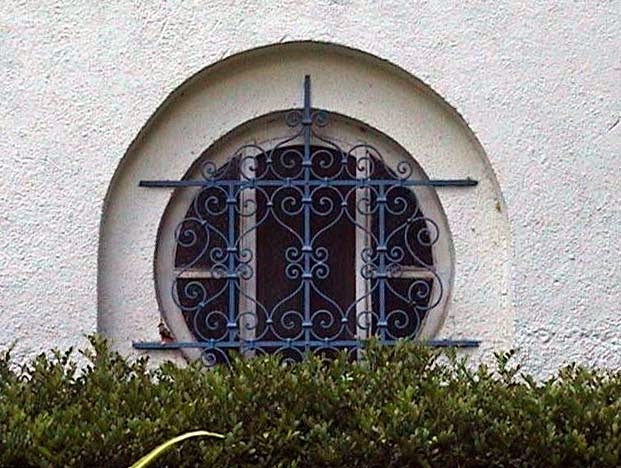 These are complemented by the internal columns, and both are connected by one-direction ribbed slabs and two-directions flat slabs, which function as diafragm beams that interconnect the columns of the north and south facades. 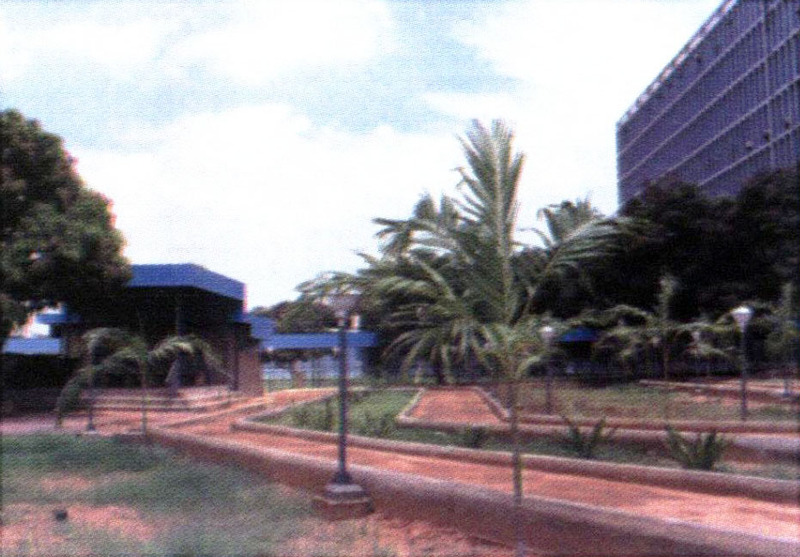 The building innovation that this hospital meant for Maracaibo because of its scale and complexity, continued in its building materials. 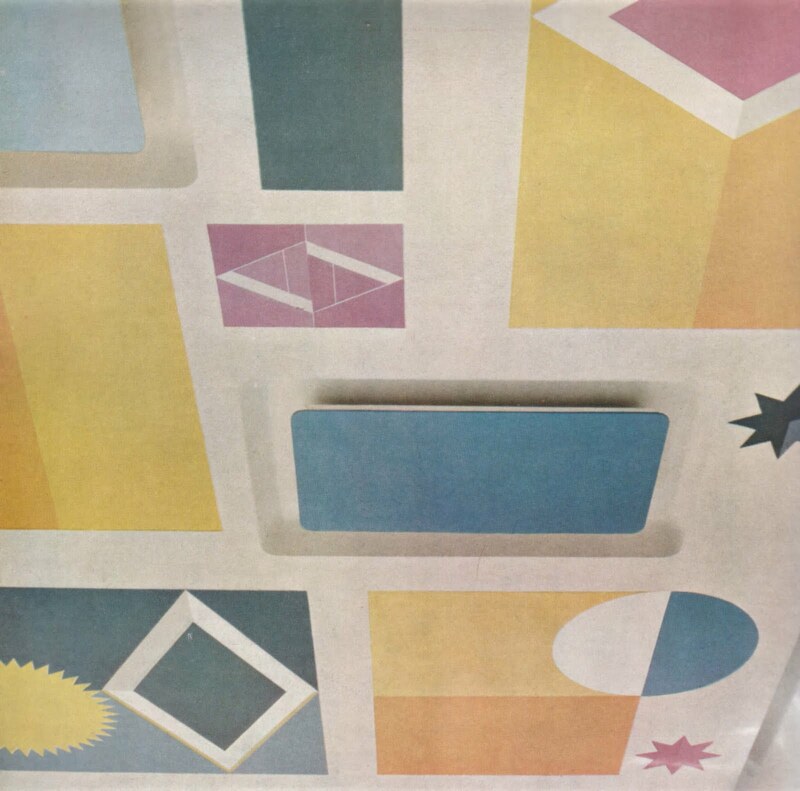 The drywall, for example, was a material at the time widely available in Europe and in the United States, but little known in Maracaibo. 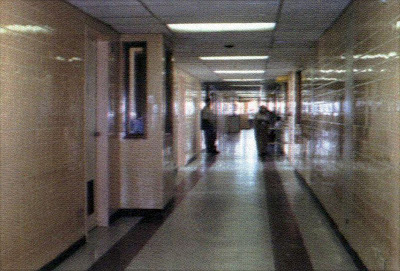 With drywall were done most the walls of the hospital. of whole building: Medical Assistance. of principal components: Medical Assistance. 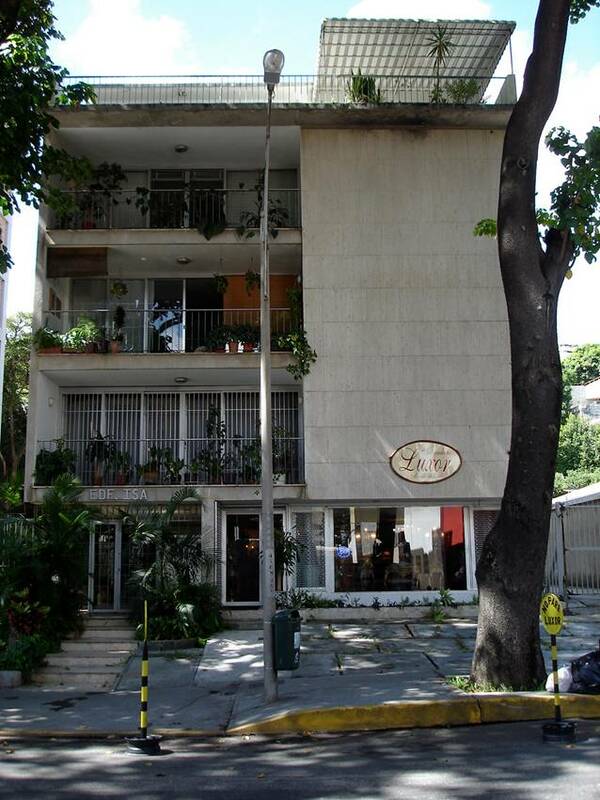 the is a building that belongs to the architectural repertoire of the Modern Movement. 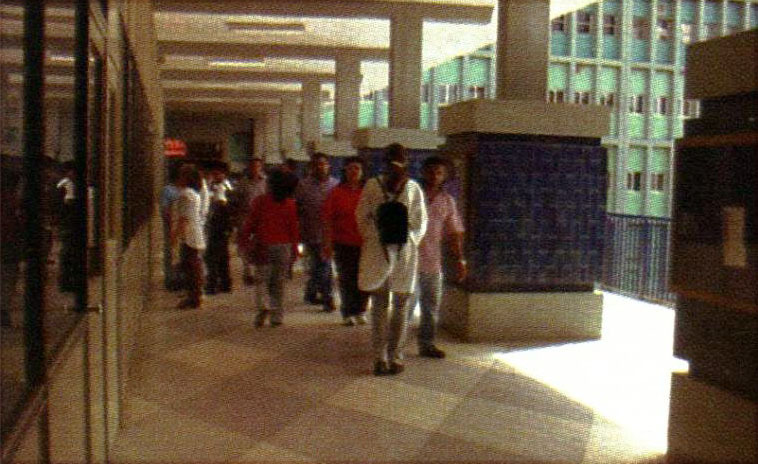 Its initial use was to be a general hospital to serve the northern area of the city of Maracaibo. 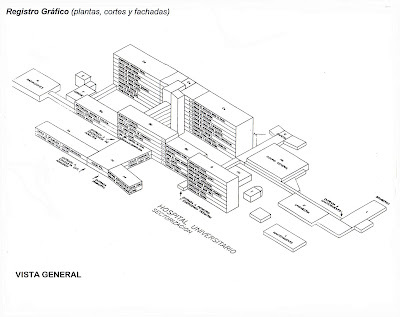 The magnitude of the service, in order to achieve proper operation, required a series of blocks arranged linearly, generating a sequence of spaces that containing the different divisions, departments and hospital services; these are linked through corridors, walkways and patios, which in turn gives great vitality and dynamism to the building, because a series of interlocking connections and dependencies of the functional elements occur. 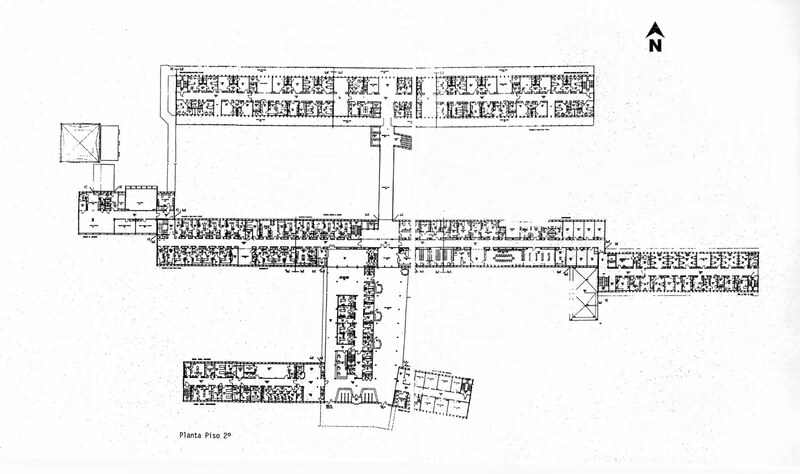 This functionalist approach is evident in the following aspects: 1. direct relationship between spaces, as each block is added and joins the adjacent to produce the characteristic linearity that allows to develop activities successively, bringing each service and function closer to the next services and thus maximizing the building's internal use; 2. distribution in buildings of different shapes and sizes. Blocks of various sizes and heights, each one responding to the particular needs of each service. 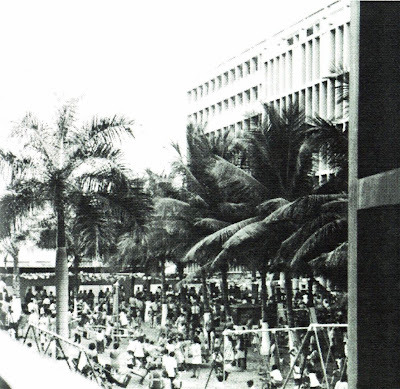 After the hospital's inauguration and put to use, the basic and specialized services grew progressively, until the hospital became a center for research and education of great importance to the region and country. Currently, the Autonomous Service of the Hospital Universitario de Maracaibo is organized in twelve areas identified by letters, to which was added a small two-storey building to expand the external care, located on the north side -where the nurses bedrooms used to be-. This building was not included in the original project. This building introduced in Venezuela new construction techniques and materials. 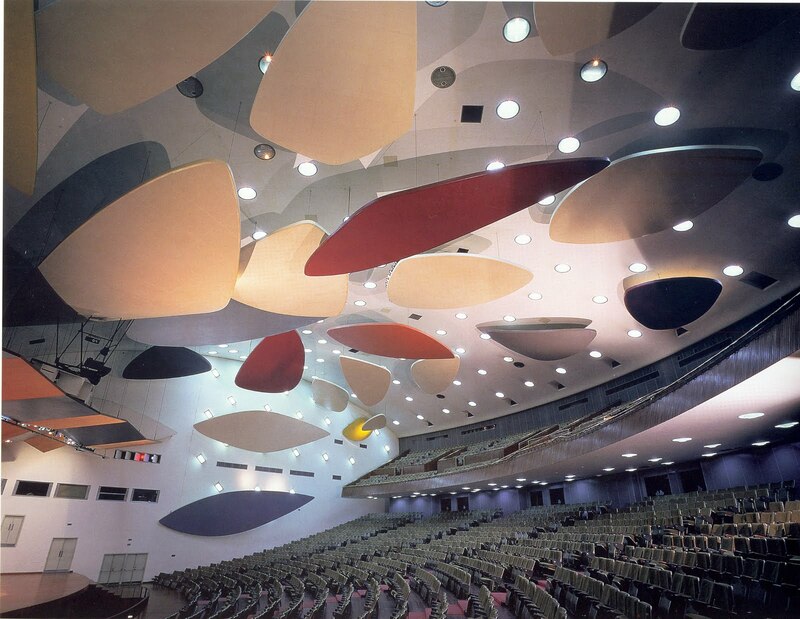 This project proposed a never-seen-before scale and dimension in the Medical assistance architecture in the country. 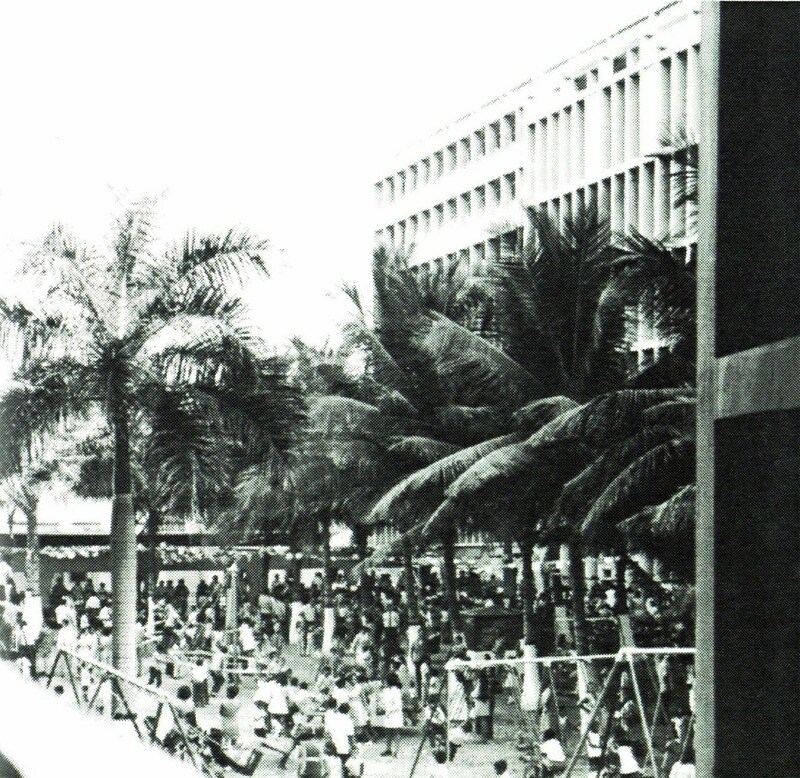 Maracaibo is the second city in Venezuela, and this outstanding modern project helped the city in catching up with the modernity of the capital, Caracas, which at the time was having an intense urban and architectural development. 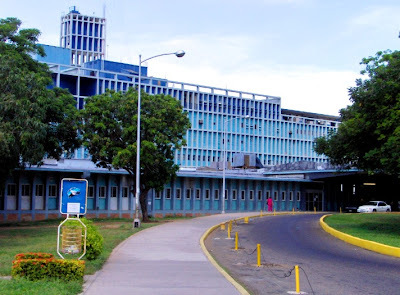 The Caracas Hospital Clínico, built in the monumental complex of the Ciudad Universitaria de Caracas (since 2002 a UNESCO World Heritage Site), is the other great Health reference in the modern architecture of the country. Besides the big scale of the two hospitals, the different architectural partis of the buildings enriched and helped the advance of architecture in the region. This a building of local, national and international status, for its architectural influence in the region and because it is the work of Hakon Ahlberg (June 10, 1891, Harplinge – March 12, 1984, Stockholm) "the Swedish architect, editor and author, best known as the official architect for the repair and restoration of Gripsholm Castle near the town of Mariefred in central Sweden..." (Wikipedia). 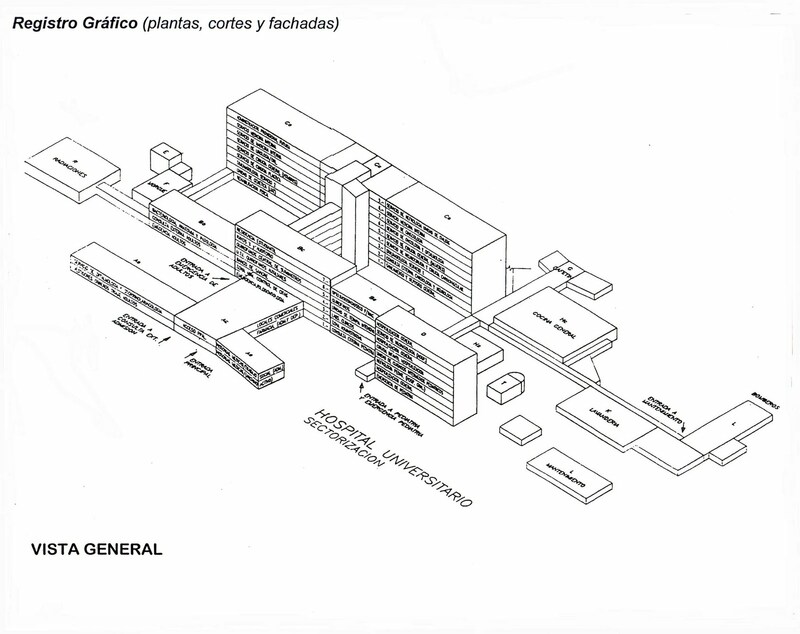 The typological singularity of this hospital makes it a clear example and important reference of the architecture of the 1950s in the Latin American region. 5.2.2. 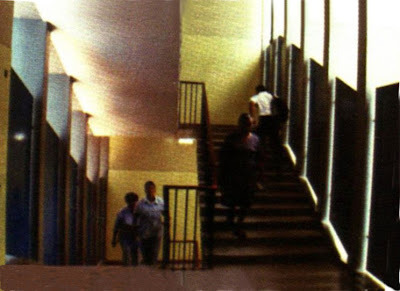 Municipio Maracaibo, Zulia, Catálogo del Patrimonio Cultural Venezolano 2004-2010, Instituto del Patrimonio Cultural, p. 88, Caracas (1998). 5.2.3. 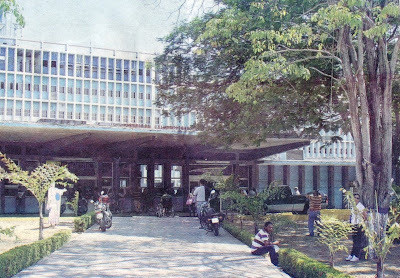 Hospital Universitario de Maracaibo, 40 aňos de historia, Acervo Histórico del Estado Zulia, Maracaibo. 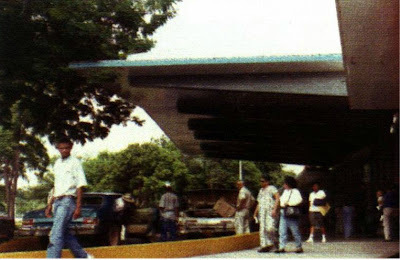 name of reporter: Jasmine Lizcano Gutiérrez (Docomomo Venezuela). address: Centro Rafael Urdaneta S.A, Calle 93 (Padilla) with Avenida 12, Casa del Deporte Local, 6/7, Maracaibo, Zulia. 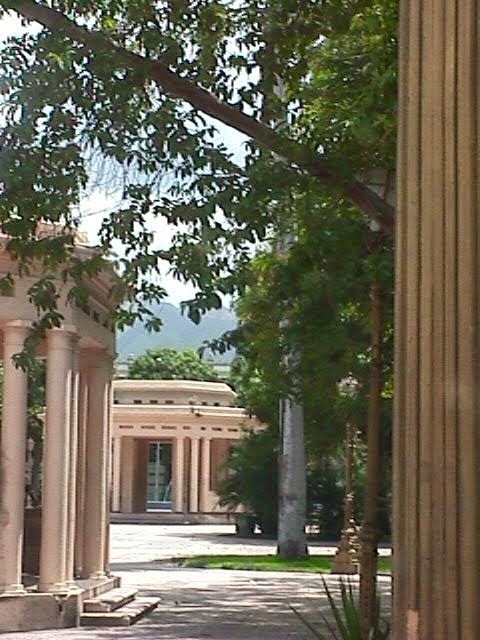 Venezuela. 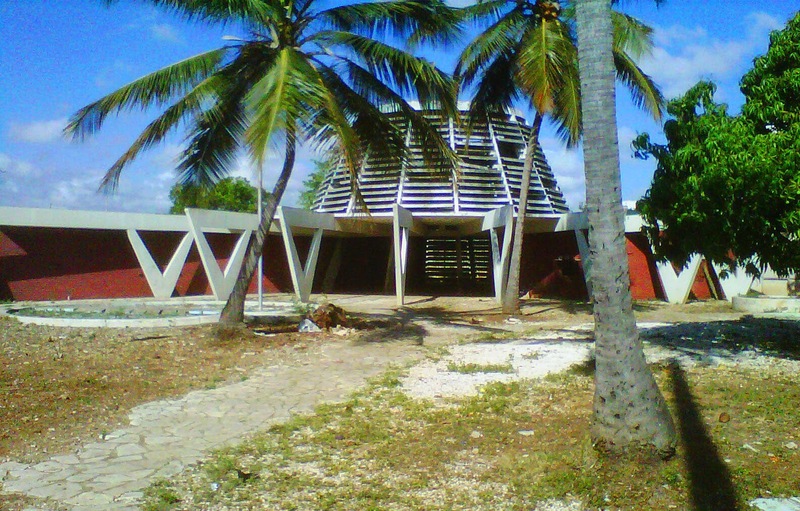 date of report: June 15, 2011.
approval by working party co-ordinator/registers correspondents: Hannia Gómez / Guillermo Heilbock and Valeria Ragonne (Docomomo Venezuela). 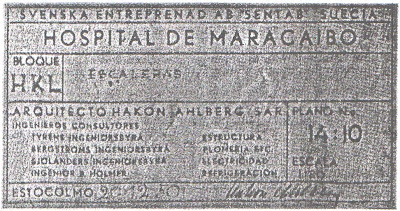 Etiquetas: 2011, Docomomo ISC/Registers, Hakon Hahlberg, Health, Homework 2011, Hospital, Hospital Universitario de Maracaibo, Maracaibo, Salud, Svenska Entreprenad A.B.